What is 7mm Heavy Duty Diamond? It’s not a surprise as to why it’s called ‘diamond’ mesh. At first glance, our 7mm Heavy Duty Diamond doors and windows look similar to other diamond security screens as it’s a very popular design. The difference is in the way it’s built. and feels like the screen is made in one piece, which is not far from the truth. Read on below and take a look at the product images in the gallery to the right. 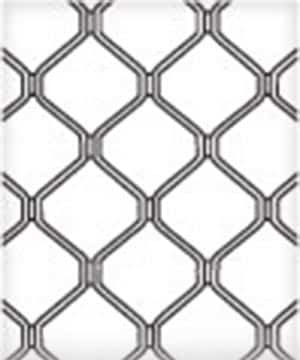 The difference between our diamond screens and most of our competitors is that they are not held together by cheap and weak rivets, they are welded which makes them 20x stronger than riveted varieties. These doors and window screens are economical and used a lot in commercial and investment properties as a deterrent to potential intruders. if you are budget conscious, 7mm Heavy Duty Diamond is for you. The purchase and installation process for Heavy Duty Diamond is quick and straightforward. Our professional staff are here to answer any questions you have on 1300 11 51 51. Afer requesting a free quote, we’ll send a Securelux Solution Consultant to visit your home to discover the best way of installing the screens to your doors or windows and share the various options with you. A 10% deposit is required to secure the quoted price and start the process. A Specialist Check Measurer will then call you to book in a time for the check measure. These measurements will be used to manufacture the products. A deposit will be required before the products can be manufacturered. Depending on our stock levels, the manufacturing process can take between 4 and 12 days. Once the products are ready, our Specialist Fitter will call you to arrange a time for installing the products to your home, usually in a single visit. The final payment is required before the last product is installed to your home, on the pre-arranged day of installation. Heavy Duty Diamond has a 10 year warranty and if you are not completely satified with your products, please contact our office for full support and friendly service.